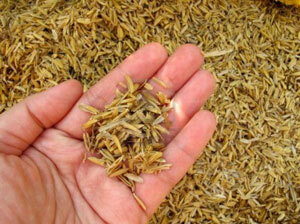 Nowadays, biomass energy is renewable, clean, green and environmentally friendly. Moreover, its ash after burning can be used as fertilizer. As one kind of biomass energy, rice husk is the most common and economical raw material to make pellets, as it is very easy and cheap to collect. 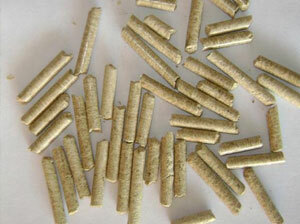 To relieve energy crisis, biomass energy is highly advocated all over the world. As we all know, biomass energy is renewable, clean, green and environmentally friendly. Moreover, its ash after burning can be used as fertilizer. Rice husk pellets are characterized by low moisture content, high bulk density, high calorific value and high quality. They are widely used in home heating and cooking. It’s very common to see them in kitchens, stoves and horse stables. 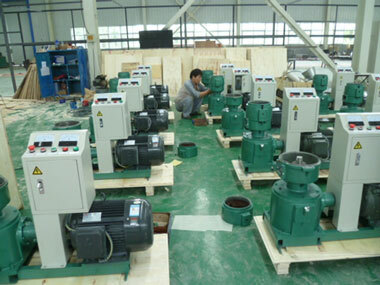 In order to contribute to saving energy, our rice husk pellet mill is your big helping hand. Rice husk pellet mill makes high density biomass pellets mainly from rice husks, straw, groundnut shell, sawdust, and other biomass materials. The pellets made by our rice husk pellet machine release lasting energy, and are widely used in home heating and cooking. It’s very common to see these pellets in kitchens, stoves, and horse stables. To make pellets with our rice husk pellet mill, the biomass materials need to be separated from other contaminants and shattered into powders in advance. Then put these biomass powders into the feeder of our rice husk pellet machine, and they will fall down to the space between the flat die and a series of rollers. The flat die is stationary, and as the rollers rotate, the powders are compressed through the holes in the flat die to form pellets. The moment these pellets are exposed on the other side of the flat die, they will be cut into the same set length by a cutting knife. Then finished pellets leave the machine. Our rice husk pellet mills have been exported to many countries worldwide, and won high reputations both domestically and abroad. Our customers are pretty satisfied with them. If you also want to make biomass pellets, our rice husk pellet machine will certainly satisfy you, too!